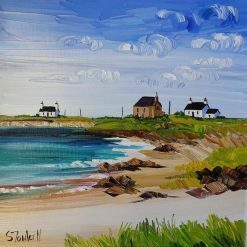 Sheila Fowler is a full time artist working from her studio in Giffnock, Glasgow. 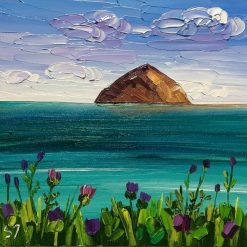 She has a love of colour and texture which gives her paintings a distinctive style. 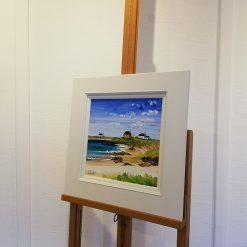 She is inspired by the Scottish landscape and regularly travels to the coast and islands to take photographs and make sketches to develop back in her studio. 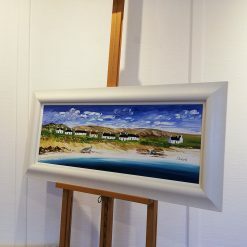 Favourite islands are Arran, Skye, Harris, Tiree and Coll. 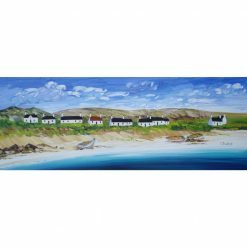 She also loves the countryside and villages of Perthshire and Fife and many of her paintings show cottages dotted on the landscape. 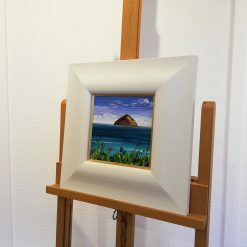 Wildflowers often feature in her landscape paintings. She also enjoys painting still life.